EMKA have the answer locked up! Compression lock technology has seemed to be rather confined to a limited range of applications until it recently came out of patent protection and now a much wider market is finding it beneficial. 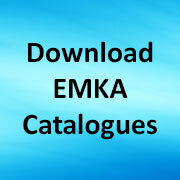 EMKA have had our own parallel version of this technology under development for some years and are now able to bring our special expertise in design/manufacture to provision of many compression latch variants. However the question stands “is a compression facility beneficial and where?” Well certainly the anti-vibration role of these locks is excellent in preventing opening of panels such as on trucks, railway rolling stock gensets, aircon and heating and ventilating systems. Similarly the ability to provide “soft” gasket compression is valuable on cabinets with EMC gasket to ensure a firm contact, or indeed on large door panels where the closure force needs to be distributed over substantial distances or adjusted to allow for manufacturing tolerances. 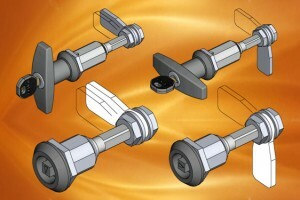 The result then is that many of our customers are finding not only the benefits of EMKA quality in ¼ turns, swinghandles, T handles etc, they are also now in a position to consider “soft-close” compression technology where it may be that the different closure feel is important, or that the additional degree of anti-tamper performance confered by the over-centre design is a valuable security factor, an aspect also greatly enhanced by the recent introduction of our new tubular key/insert. EMKA compression technology provides several millimetres of soft gasket compression and cam depth adjustment. Share the post "To Compress or not to Compress?"